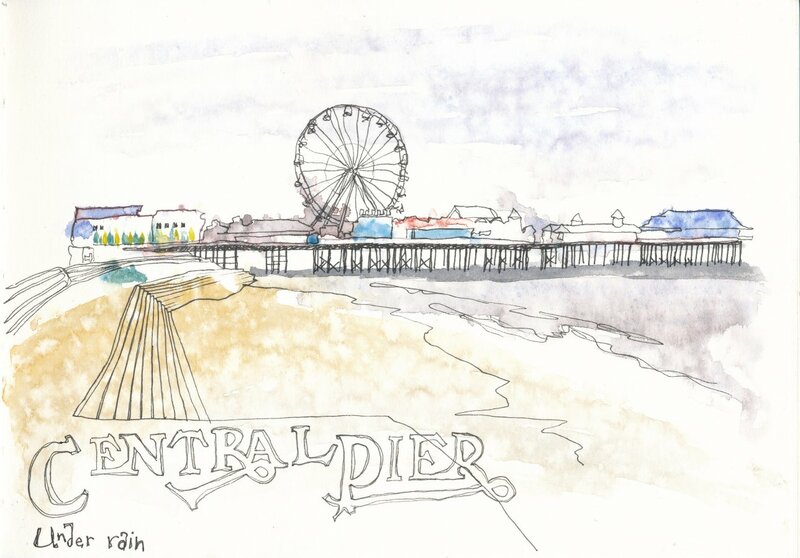 It was grey and drizzling day when I attempted to sketch Blackpool’s Central Pier. I sketched the outline in watercolours first, the light rain picking out my washes with speckles of raindrops as I quickly painted. Colours merging with wind and rain. Then I went inside and waited for the rain to pass and my wash to dry. Once dry I headed back outside and inked in further details.